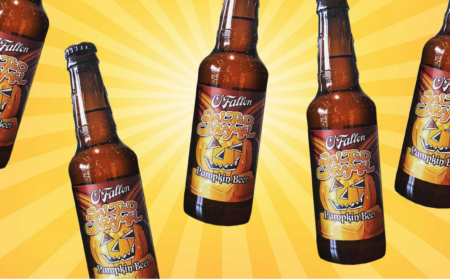 It all started in 2003 when Dan Tripp received his Mr. Beer kit for Christmas. The beer made it to the fermenter and it sat there…for five years. He gave up on brewing until he heard about a local Homebrew Store and started brewing extract kits in a turkey fryer. At about the same time, the now “brains” behind Good News Brewing, Matt Fair was also starting his home brew operation. From the beginning, Matt has enjoyed adding unique adjuncts to his beer whether it be pomegranates, rhubarb, peppers, or smoked grain. 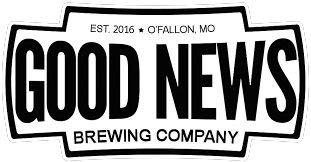 This thirst for creativity has continued from his basement brewery to Good News Brewing, manifesting itself through the colorful beer offerings on the Good News Brewing menu! Around 2014, Matt joined Dan’s Mission Community (Bible Study) for their church. Dan had come a long way since his Mr. Beer kit days and had built an electric brew system in his basement. Matt felt challenged by Dan’s homemade operation and left saying if this guy can do it, I can do it bigger and better! And that he did. Meanwhile, the now “hands” behind Good News Brewing, Josh Miller was tinkering with brewing equipment and making wort chillers as a hobby. Serendipitously Josh and Matt worked together and soon realized their communal passion for home brewing…and spicy things. A few months later during a book study, Dan and Matt were inspired by the book, Flesh by Hugh Halter and learned the power of sharing The Good News by being human. This means having fun, celebrating, being in community, and having parties. Remember how Jesus did that thing where he turned water into wine? So Josh and Matt went bigger and built a one barrel system (Dan just watched). Now they are tickled to have the opportunity to share Good News with you, because Everyone loves Good News.